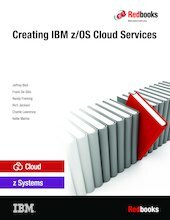 This IBM® Redbooks® publication discusses the real world experience of an enterprise that developed and implemented IBM z/OS® cloud services. This book shares the experience of a team at Walmart Technology, Walmart Stores, Inc.® and some of the decisions they made to create business critical cloud services. These experiences and approaches relate to the z/OS platform, and might not apply to other hybrid cloud approaches. This book highlights the strengths and characteristics of z/OS that led the Walmart infrastructure and software engineers to use this platform as they transitioned from a traditional IT deployment to a cloud model. Embarking on a cloud strategy can be overwhelming. No shortage of approaches to cloud computing exists. This book focuses on a pragmatic approach for enterprises that are struggling to take advantage of their business assets in the cloud. This book introduces the basic cloud concepts as defined by the National Institute of Standards and Technology (NIST). Each chapter explains the importance of a particular NIST characteristic, the z/OS role in accomplishing the characteristic, and how it was implemented by the Walmart Technology team. This book is intended for IT professionals who are considering extending their IBM z Systems™ environment to a hybrid cloud by unleashing the power of cloud services on z/OS. For information about creating cloud services that are hosted in IBM CICS®, see How Walmart Became a Cloud Services Provider with IBM CICS, SG24-8347.